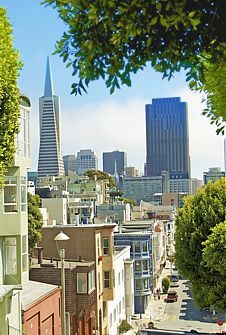 In San Francisco, TurnKey Coaching Solutions has the resources and experience to help your top executives. When planning your future company goals and implementing them it is important to have your executive leaders feeling confident and comfortable in their roles. Their confidence inspires those around them and creates an atmosphere of harmony and motivation. We provide professional, executive coaching programs and leadership development coaching for senior leaders, mid-managers, emerging leaders and teams, in San Francisco, California. You will see your business transform when you engage your senior leadership team, your high-potential employees, and even your middle-managers in a leadership development coaching program. 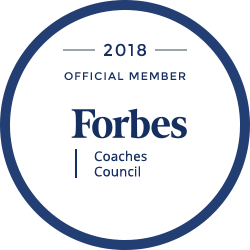 San Francisco area businesses are already seeing the difference that executive development and targeted leadership coaching and training makes. Using skilled professional coaches to develop already existing leadership competencies and by tracking the company’s objectives with the coachee’s progress we help maximize your training and development investment needed for success. Regular reports are provided to the company with (non-confidential information only), which support our clients in ensuring they receive the highest return on their investment. A recent study by the Harvard Business Review and The Energy Project polled more than 12,000 white collar employees and found that “feeling a sense of purpose at work” is the single biggest driver of employee satisfaction, engagement and tenure. » Read here about emerging leader programs and leadership trainings for next generation leaders. » High potential development programs and trainings for your top talent. Our executive team and executive coaches have worked with hundreds of executives, managers and high-potential employees from a wide range of major companies worldwide. We invite you to call us for a free consultation about your executive coach or corporate coaching needs. San Francisco has long been a beacon to people and companies who think outside the box. As a result, the City has become an international hub for a number of pioneering, forward-thinking industries - including Life Sciences & Health Care, Information Technology & Digital Media, Clean Technology, Financial & Professional Services, iPDR (Integrated Production, Distribution and Repair), Retail & Hospitality, International Commerce and Film.